Canada is one of the top-notch destinations surrounded with majestic western mountains, forested eastern valleys, black-blue lakes, rolling central plains and beautiful landscapes. Every year thousands of individuals from overseas apply for Canada permanent residency to enjoy its natural attractions and to grab the excellent career prospects offered by its universities. Canada immigration is not a daunting task, as norms that are involved to apply for its visas are effortless when compared to other developed nations. If you are willing to pursue higher education or settle in Canada, one must know the basic process to apply for its visas. A skilled worker who possesses special skills and abilities can effortlessly migrate to Canada through express entry. Citizenship and immigration Canada has planned to launch new migration program called as Canada express entry for skilled workers with many improvements. Few of the principle advantages that an individual can gain from this new scheme are greater accessibility, less processing time and more focus on the quality of applications. Initially every candidate has to put a request to concerned authorities through online by uploading their credentials. And each applicant in the request pool will be ranked by comparing their potentials with other candidates. To rank top on the list, one must be eligible to apply under Federal Skilled Worker Programme (FSWP), Federal Skilled Trades Programme (FSTP) or Canadian Experience Class (CEC). When the applicant is suitable to apply under any of the above mentioned programs, proficiency of French and English language must be proven. Before making an expression of interest, an individual is requested to present an educational credential assessment before making the EOI. How Does my Occupation Score for Permanent Residency in Canada? 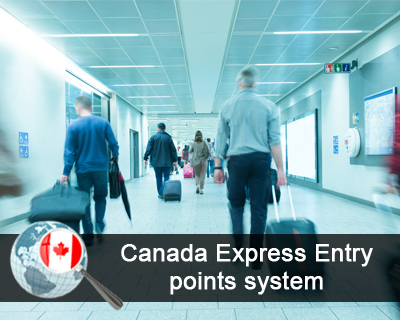 As like FSWP and CEC, Canada express entry program does not have any eligible occupation list. Instead, an applicant has to prove that he or she has worked for one year in any of the profession within the past ten years. Individual who possess special skills and abilities in any of the job field that is in demand can apply through this program. Individual who does not possess any job offer letter can also put a request to this program by registering in Canada job bank. Here, the country’s government along with the employers who are looking forward for skilled candidates are most likely to succeed by choosing the appropriate candidate who suits their requirement. Selected candidates whoever receives an invitation has to file the application within the 60-day period, if a candidate fails to apply within this timeframe, he or she will no longer be on the express entry list. Induaduals who want to migrate to Canada through this program, fill out our Enquiry Form, so then our visa executive will get back to you.